Go find a teammate now and free your schedules for the most challenging and exciting swim-run race from BTR! 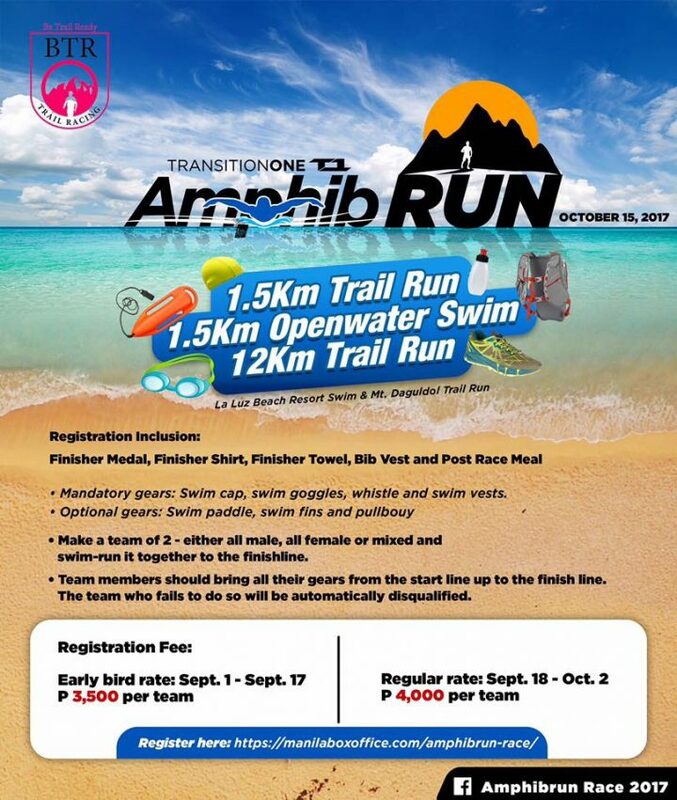 Team BTR presents TransitionOne Amphibrun Race 2017! 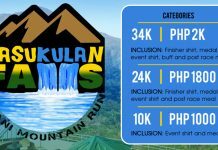 Featuring a 1.5Km Trail Run – 1.5Km Openwater Swim followed by a 12Km Trail Run. 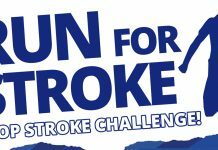 Take a team of 2 – either all male, all female or mixed and swim-run it together to the finish line. 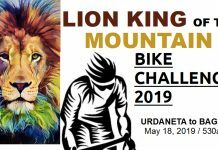 Team members should bring all their gears from the start line up to the finish line. The team who fails to do so will be automatically disqualified.